Dublin, Ireland, 21 April 2016 – Digital marketing innovation comes to Ireland as Search Optics establishes it’s European, Middle Eastern and African (EMEA) headquarters in Dublin. Search Optics, an industry leader established in markets such as North and South America, and Australia, plans to create more than 100 jobs in Dublin over the next two years. Today sees the official opening of Search Optics EMEA headquarters in Fumbally Square, Dublin 8. The event shows that Dublin, once again, attracts investment from prominent industry players. The announcement is made with the support of the Department of Jobs, Enterprise and Innovation through IDA Ireland. Founded in 1998 in San Diego, Calif., Search Optics now has 12 offices in nine countries and is growing rapidly internationally. Search Optics provides an integrated digital marketing platform to many of the world’s leading blue chip companies, focused on delivering better business results in the ever increasingly complex digital world– everything from delivering higher-quality leads to creating greater demand for the brand. Benefitting from Dublin’s reliable and comprehensive technology infrastructure, as well as having access to a skilled and qualified workforce, Search Optics expects to significantly gain market share in other countries, as well as provide enhanced support for their customers’ global operations. David Ponn, Search Optics Global CEO, said: “EMEA is a region that is ripe for growth. It will benefit extensively from the digital marketing technology and hands-on expertise we bring to the marketplace. 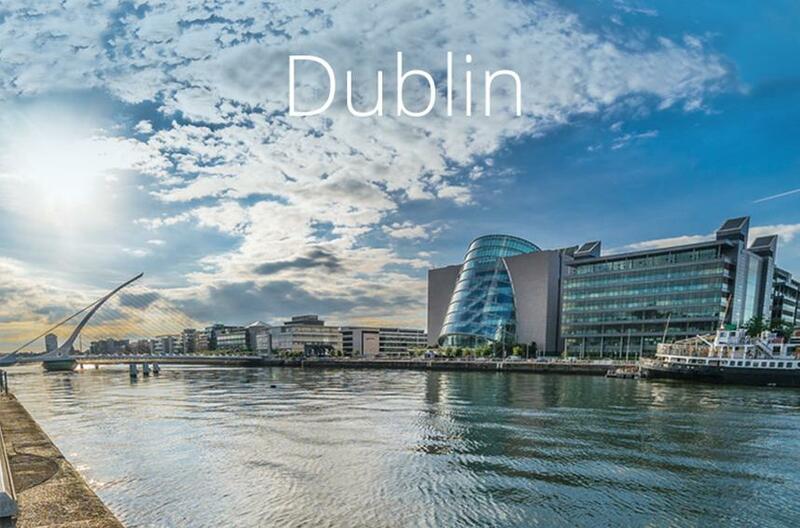 We are dedicated to providing real results for our clients, backed by local employees in Ireland, and, with our new EMEA home in Dublin supporting us geographically, economically and culturally, we are excited to join the Irish business community." Welcoming today’s announcement, Minister for Jobs, Enterprise and Innovation Richard Bruton TD said: “Technology is a crucial sector for employment growth which we have targeted as part of our Action Plan for Jobs, and a key part of this is convincing fast-growing innovative companies to invest here. Today’s announcement that Search Optics, a leading company in the rapidly growing area of digital marketing, is establishing its EMEA headquarters in Dublin and creating 100 jobs here is a very encouraging move. Having companies like Search Optics here helps us to attract other international tech companies to come to Ireland, and to grow our own Irish tech start-ups. I wish David and the team every success”. Interested candidates can contact the company here. Search Optics is a digital marketing company that specialises in custom, integrated solutions with an emphasis on return on investment. The company uses an uncommon blend of leading-edge technology and human interaction to turn virtual traffic into measurable results. Search Optics, which was founded in 1998, has corporate offices in Australia, Brazil, Canada, Chile, Ireland, Mexico, the United Kingdom and the United States. For more information, please visit www.searchoptics.ie. You can follow Search Optics on Twitter, LinkedIn, G+ and Facebook. Brendan O’Brien has recently been appointed as Search Optics’ Chief Strategy Officer. Originally from Killarney, Brendan has worked for leading multi-national companies including Accenture and IBM. His background is in mobile and digital customer experiences, as well as location-based services. Previous to his appointment at Search Optics, he was a successful Irish entrepreneur, where his most recent Cork based startup, spun out of UCC, was acquired by Cisco. In his new role at Search Optics, Brendan will be focusing on expanding and driving growth across Europe, the Middle East, and Africa.